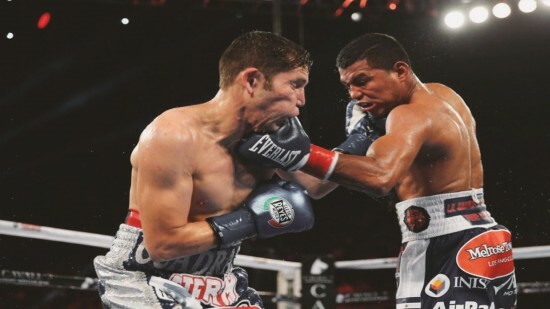 Gonzalez, seen here at right, landing a left hook to the chin of Cuadras (photo courtesy of K2 Promotions). LOS ANGELES, CA (June 17, 2017) The Super Flyweight Division, long one of boxing’s most exciting, filled with many of the sports’ legendary superstars, will add another chapter into its annals of memorable evenings on Saturday, September 9. 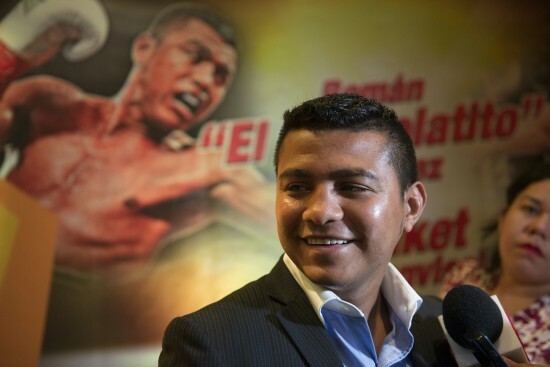 MANAGUA, NICARAGUA, January 23, 2017 — Consensus #1 Pound-for-Pound Fighter in the World and World Boxing Council (WBC) Super Flyweight Champion ROMAN “CHOCOLATITO” GONZALEZ, (46-0-0, 38 KO’s), held court in front of a huge crowd of Nicaraguan media before heading to Costa Rica for training camp in preparations to defend his title against Mandatory Challenger SRISAKET SOR RUNGVISAI (41-4-1, (38 KO’s) of Si Sa Ket, Thailand, on Saturday, March 18, 2017, at “The Mecca of Boxing”, Madison Square Garden. Gonzalez is one of the country’s most popular figures, having been mentored by Nicaraguan boxing legend, the late ALEXIS ARGUELLO. In his last fight, a brilliant 12-round decision over CARLOS CUADRAS on September 10 at The Fabulous Forum in Los Angeles and telecast on HBO, Gonzalez became a fourth divisional world champion, the first in the Nicaragua’s history. Gonzalez was joined at the press conference by his manager, CARLOS BLANDON. “I feel very confident that I will be victorious for my fans here in Nicaragua and all over the world, those watching on HBO Pay-Per-View and those in attendance in Madison Square Garden. I loved fighting in New York City last time and look forward to March 18 when I return. Presented by K2 Promotions in association with Teiken Promotions, tickets priced at $1000, $600, $400, $300, $200 and $100, are now on sale and can be purchased at the Madison Square Garden Box Office, all Ticketmaster outlets, Ticketmaster charge by phone (866-858-0008) and online at www.ticketmaster.com or www.thegarden.com. Roman ‘Chocolatito’ Gonzalez vs. Srisaket Sor Rungvisai for World Super Flyweight Title! 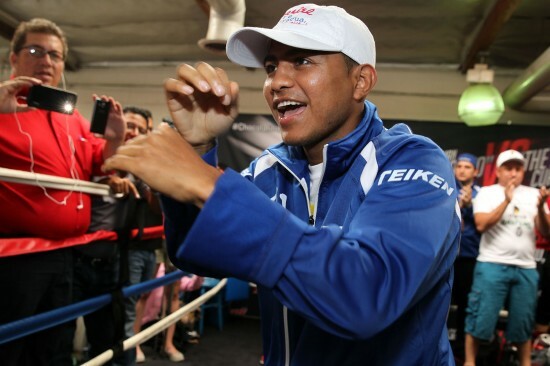 NEW YORK CITY, January 17, 2017 — Consensus #1 Pound-for-Pound Fighter in the World and World Boxing Council (WBC) Super Flyweight Champion ROMAN “CHOCOLATITO” GONZALEZ, (46-0-0, 38 KO’s), fighting out of Managua, Nicaragua, will defend his title against Mandatory Challenger SRISAKET SOR RUNGVISAI (41-4-1, (38 KO’s) of Si Sa Ket, Thailand, on Saturday, March 18, 2017, at “The Mecca of Boxing”, Madison Square Garden.